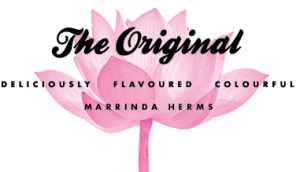 Mother of two, owner and graphic designer of her own design/advertising agency and on top of that a brilliant contemporary mixed media artist; ‘Who’s Next?’ introduces to you Marrinda Herms. Her personality is as colourful as her paintings. Speaking to Marrinda about her career, inspirations and advice has been an absolute privilege. Q. What is the most challenging part about being a mixed media artist? A. It can be very overwhelming how many different materials I can use in my paintings, there are so many possibilities. I always try to use a material that fits me at in that present moment and it’s totally dependent on how I feel. Sometimes I am in a flow of searching for my style. My style changes sometimes, but I stick with using a lot of color because it makes me happy. I can like my painting one moment, and the other moment I hate it and I want to make new paintings in a different style. It’s a very bad feeling when I don’t like them anymore. I am then obsessed with finding a way of liking them again. What can I do to change it and love them again? It’s a process which keeps going on until I find a new way of making them, sometimes with an other kind of paint, and maybe with a bit of style changing. It is always a surprise to find out where this process ends. I can say that I am still searching for my own style, my own signature. One thing is for sure, I love using layers, and colors. Q. What do you wish you knew about mixed media before you got started? A. I wish I had known the different types of paint and the processes. I’ve had to try so many different kinds of paint and techniques to figure out which one I’d like most. Now I have my favorite acrylic paint and I know which medium works best for my stencil-art technique which I truly enjoy. Q. How would you describe your style and how it stands out in the art market? A. My style is very colorful and positive. The different layers and colors in my work represent the layers and colors in us as a human being. We decorate ourselves with an exterior, but more important are the layers below. Do what you are passionate about and follow your true feelings, your soul! Don’t let your ego distract you. Colors, patterns, fabrics and typographics are a part of my style, combined with the meaning behind it and how it has its profound effect on viewers are reasons why I believe my work stands out in the art market. Q. So you’re working on a new series and we’re all very excited. Can you tell us what your new series of paintings are about and where you got the inspiration from? A. My new series of paintings is called “Flowers Bloom, People Do Too”. As the name says, it’s about flowers, how they bloom and grow, and how people bloom and grow. There are so many similarities, but also so many differences. People try to control their lives, their paths, their choices…become control freaks , but we should bloom like the flowers do, as it goes. We have no control over many of the things that happens in our lives but we keep trying to control it. If we could stop that, and deal with situations as they are, life would be so much easier. It would save us from the pain and anger it can cause and instead bring us happiness. Take life as it is. We can’t control nature, the flowers, the weather, and we can’t control everything in our lives. We need both sun and rain to grow. Q. Would you say your advertising career has influenced your art practice or your art practice has influenced your advertising career? A. My advertising career has definitely influenced my art practice. In the advertising industry I always create designs for someone else and most of the time it’s a very busy job, which I certainly enjoy because I love to be creative, but it can be very stressful. When I make my art pieces, I create totally what I like, what I want, how I feel and how I would like it to be. I can follow my own intuition and really follow my heart. It gives me such high levels of happiness and better, it gives me peace. Q. What is the most helpful advice you’ve ever received that makes a daily impact towards your art and your life? A. The most helpful advice I’ve ever received is to absolutely stay true to myself and paint it like I want it, and how I feel it. When it feels good, keep going, and when it doesn’t feel good, stop! And then there will be a new day tomorrow. I also learned not to determine how the painting should look like in the end (there is the control of the brain again), in my work it always changes direction. I start with an idea of inspiration and then I let go and see what happens next. I follow my intuition. Thank you Marrinda, it was a pleasure speaking to you. Next Who’s Next? article – 18th October 2018.